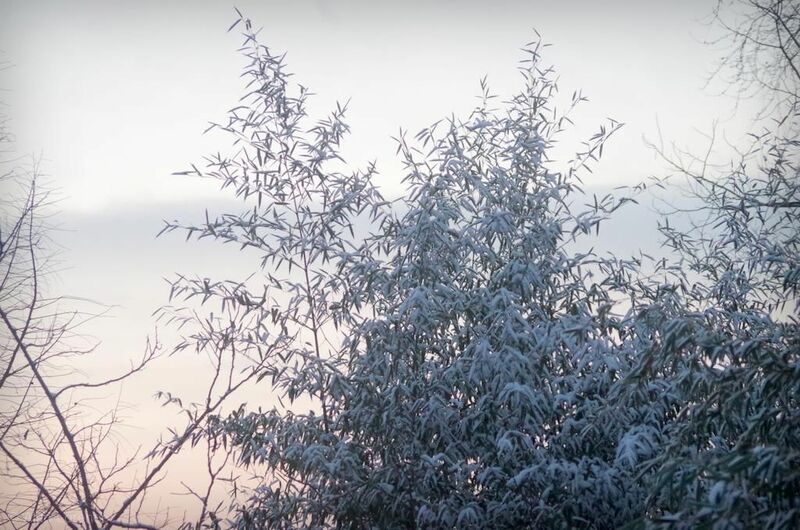 I took a few photos late yesterday afternoon too as the snow was just getting started, as I wasn't sure if this would be a clinging, heavy snow or not, and I wanted to capture that dusted look. 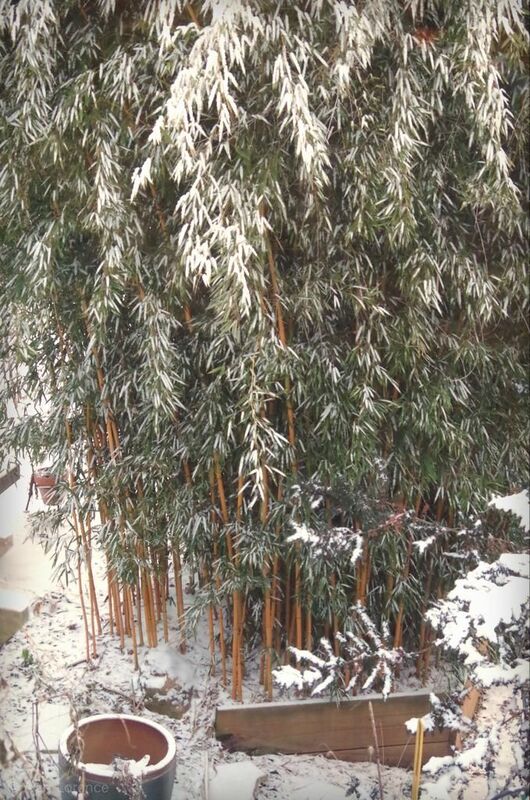 Snow is one of the best reasons to have bamboo in your garden! 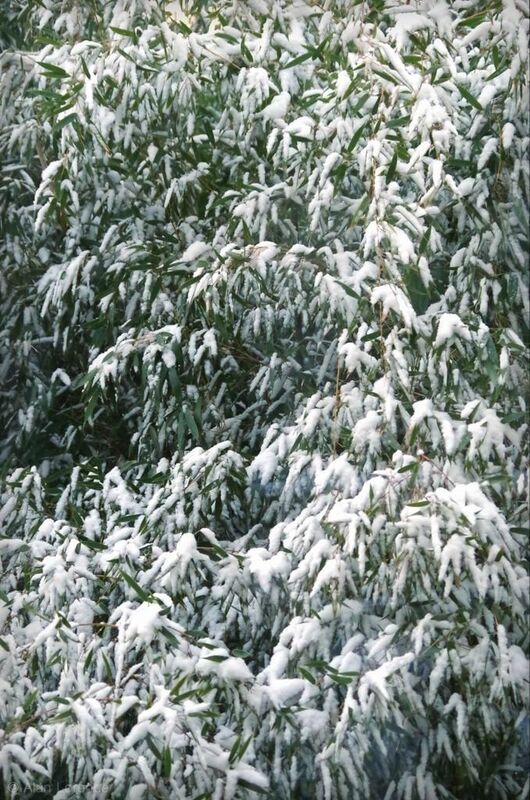 Your bamboo is beautiful in the snow! 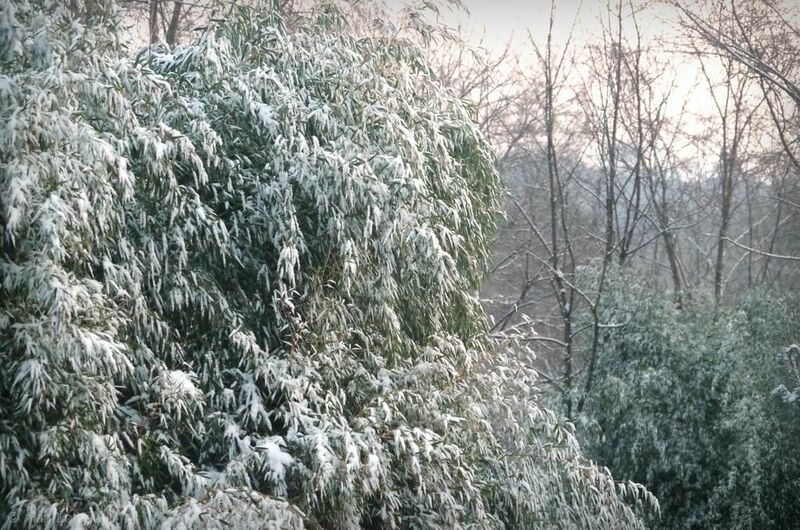 The long-term forecast in our area isn't calling for temps lower than 35 for the rest of January and February so unless something changes, it looks like I'll have to enjoy the white stuff vicariously through your images. 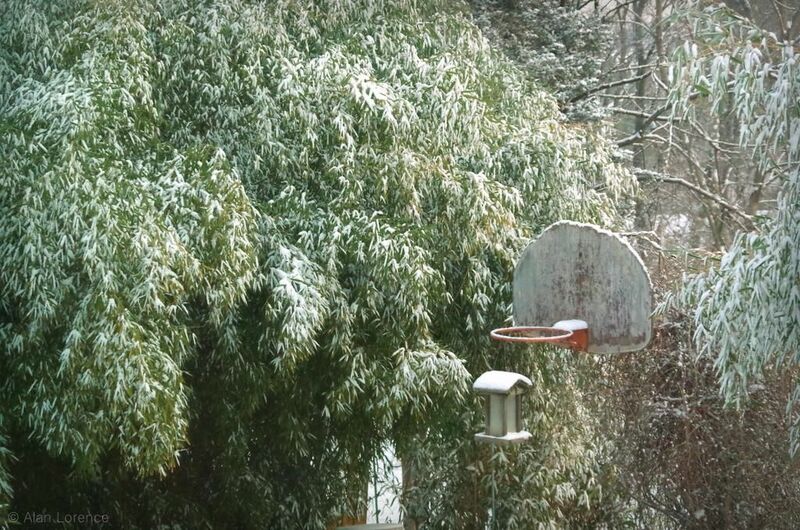 Fabulous--I was expecting a Panda to emerge eventually. 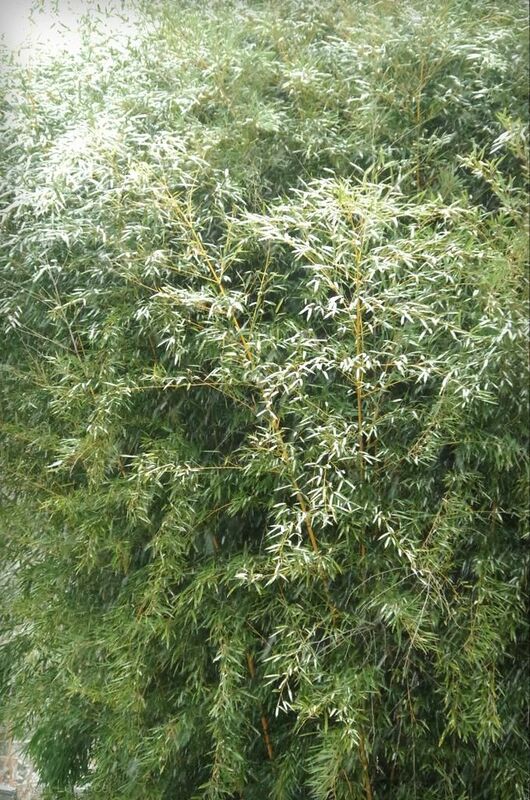 No wonder you are a bamboo enthusiast. Picture-postcard beautiful. 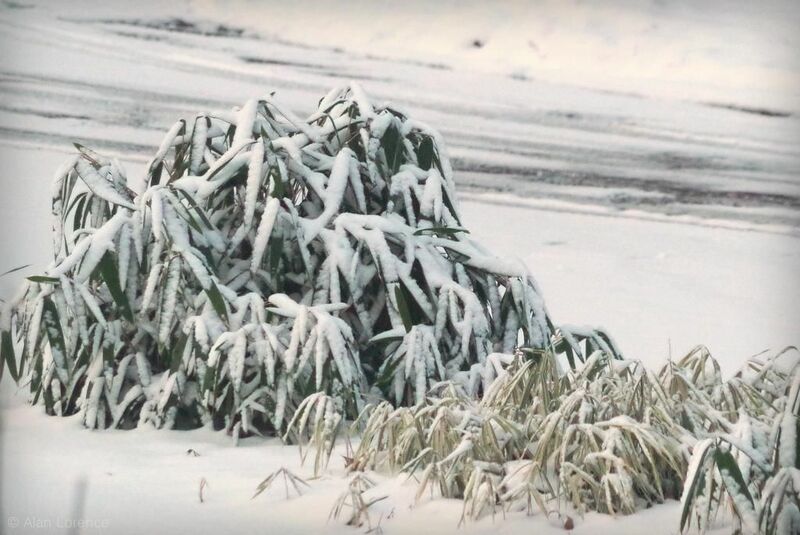 I hope you won't get inundated with snow though. It does look like frosting! 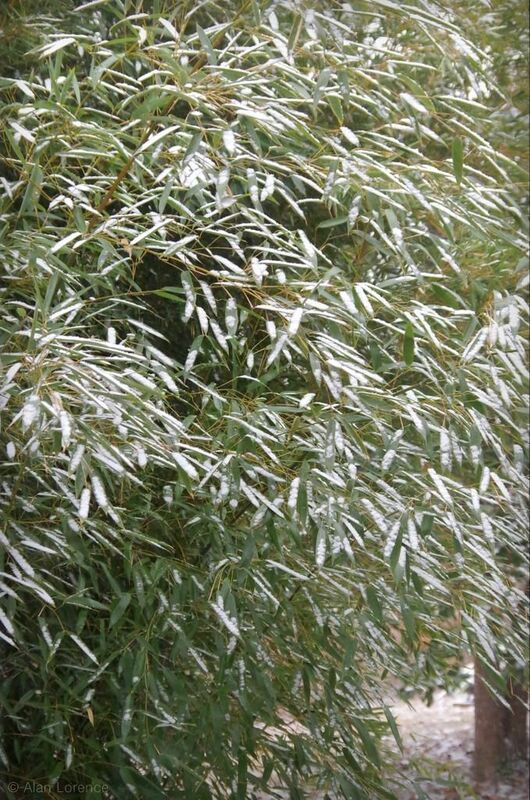 So fun too see, but I hope it doesn't get cold enough to damage your bamboo!